Sooooo... for so long I struggled with a fear of heights. I wouldn't go near anything that was too high for me to jump, grab hold to or control. Today I realeased that fear and did something that took my breath away. Look at what I would have missed if I had allowed my fear to control me. This changed my life forever and made me aware that I control my fear. Once you understand that, you can do anything, but fail. God gives us each the ability to soar in any and everything. We doubt ourselves which limits our growth. As of this day, my fear from heights has been reduced. I no longer will allow fear to keep me from living life free and to experience what once held me back. I challenge you to try something that freightens you. Make goals and keep them. Today is a great day to start. Until next time, blessings and peace unto you. Are you social? Connect with me on IG, Periscope, Twitter and Facebook @NichelleWomack. If you like podcast, download The People Connect Podcast on iTunes, iHeartRadio and Google. Relationships are overrated. Too many people want but don't want to give. In order to get the most out of anything, you must be willing to give all you've got. This is how we do it and make it work. Twenty-five years ago I was his friend, his laughing buddy and somebody he could confide in. I didn't know where this would lead. I wasn't desperate nor in a hurry. I obtained my college degree and building my life was the most important thing. I was a good woman and deserved a good man. On June 15, 1996, my life changed forever. Already accomplished and sort of into myself, God made the decision to make this day happen. I didn't deny it as I was ready for a different phase. It came with adjustment, resistence, doubt, joy, pain and gain. I no longer could think of myself as an addition had been added to my life. Twenty-one years later, we've grown together and as one, identified our strengths and magnified our weaknesses. We still have our own individual characteristics, but they have become intertwined into one. Be open to change as change starts with you. When I observe my surroundings and those in my age group, most are divorced and/or working on their 2nd, 3rd and even 4th marriage. When asked how we did it and continue to do it, my only and first response is God. 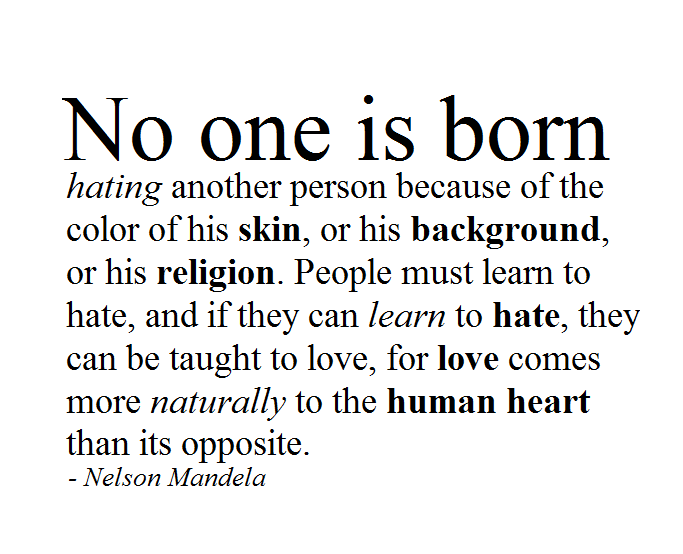 To me that is the one and only reason as He has been the glue. In everything we do and have done, God has been the core of our decision making. No.. we are not perfect, nor do I claim to think we are. This is just what has worked in our life from day one and continues on today. Out of all honesty, there have been more good days versus bad. Most of the bad had to do with me being selfish and impatient. As soon as I became aware of this, I began to modify my behavior. That's the key! Once you recognize who you are and what you want to become, you adjust your mindset to fit that idea. I want to be the very best wife and mother. I want to live a life that my kids model as a map for their success in life and relationships. This perspective gave me an ultimatium to recognize it's not all about me. I'm glad I took the chance to open myself up for love, wait on God to deliver and be obedient with His request. Marriage has made me a better person and mother. I believe if you wait, pray and go about your life, you will encounter what God chooses to bless you with in a spouse. Don't seek love, let love find you. Are you social? Connect with me on my journey in business, life and relationships. @NichelleWomack on Instagram, Twitter, Periscope and Facebook. I look forward to winning with you soon. On this day, many are blessed to receive a check and many are not due to circumstance. A check has become the staple in the household. With a check, one can not only enjoy the varried necessities, but the estravagant wants we all crave as well. A check has many limitations just as it has opportunities. It's important to understand that if that check is not available due to job layoff, firing, company closing, job transfer, personal disability, illness or any other devestating life altercation, you and your family can be left at the hands and mercy of need. This can be catastrophic on so many levels. The reality is there are a lot of people who are one paycheck away from being homeless and hungry. What would you do if you allowed yourself to be put in that situation? Yes... I said allowed. When you put all your eggs in one basket without being open to other options to keep yourself out of that situation, you allowed it to happen. Most get comfortable in their current situation and don't think about the possibility of having to be uncomfortable if something happens. Do you currently have a savings, retirement and emergency plan that you feel comfortable with if you were put in an uncomfortable situation? The truth of the matter is many Americans state they are worse off than they were in previous years. According to a consumer sentiment survey, 40% state that they are living paycheck to paycheck. 39% state they fear losing their jobs. These are some startling numbers that seem to be the same if not worse. So now that you are aware of these facts, does that change your perception of how important a check is to you and your family? If it does or if it doesn't, the point was to enlighten you. Unfortunately, many wait until a situation happens before they react. Then they are often pressured with stress, frustration and possible health issues. I personally am working on being more proactive versus reactive. This response has afforded me the opportunity to have choice. If you are interested in speaking further about the many options to diversify your options and income, connect with me and lets collaborate. I love sharing information and great ideas. Well that's all for now. I hope you found this information enlightening and worthy of thinking about. If you are social, connect with me on Instagram, Periscope & Twitter @NichelleWomack. I would love to meet you. Toodles... and happy weekend! Do something worth remembering. 6 For the Lord gives wisdom; from his mouth come knowledge and understanding. 7 He holds success in store for the upright, he is a shield to those whose walk is blameless. Challenges are like climbing a hill and never reaching the top. As a young child growing up, when I was feeling down my grandmother would always say “catch yourself.” Her meaning behind that quote was to never let yourself go so far that you aren't able to rebound. When you are going through difficult times, no matter what anyone says, it’s hard to feel confident in yourself. Sustaining your thoughts and emotions with positive, encouraging words helps you to realize that you are not along in your struggle. Knowing other’s have walked the same path of uncertainty gives affirmation that trouble does not last always. Listed below are 10 quotes that have inspired many, even myself. Stay encouraged! Don't leave the game until you have won. 5. “Believe in yourself! Have faith in your abilities! Without a humble but reasonable confidence in your own powers, you cannot be successful or happy.” Norman Vincent Peale. I hope these quotes give you encouragement to know that anything is possible if you believe. When you are having one of those days, choose an affirmation that motivates you to keep going and surround yourself with positive people who want to see you do well. I am Nichelle Womack. As a people building, life transition and business strategist, I specialize in helping you reach your greatest potential by providing information, inspiration, and motivation. I help you develop self-reliance and internal stamina. I provide engagement through community speaking events and one on one consultation. Positive thoughts and language are my fuel for energy and my desire to help you find yours. If you are interested in a free 15-minute session of coaching, contact me @ diversecc@gmail,com. Looking for more great life tips, check out "The Master Tip Manual for Personal Success" @http://amzn.to/1bWA7Vw . Many blessings and much success to you!! Connect with me on Twitter, Periscope & Instagram @NichelleWomack for direct connection. Join me at "The People Connect Podcast" on iTunes for thought provoking conversation. Talking about money is a pain point for many. It can cause you to become stressed and eventually lead to depression. Money struggles, lack of knowledge and concern can clearly drive one over the edge. Money woes is a real problem faced by many. [bctt tweet="Gaining control of your finances can change your life." username="NichelleWomack"] One of the main reasons why people go bankrupt is because they cannot control their spending habits. Many of them spend far more than they have. Instead of living within their means, they are living outside and above. Gaining control of your spending habits can prevent financial spirals such as bankruptcy. One of the main reasons why people go bankrupt is because of a lack of control over their finances. Many of them spend far more than they have. Instead of living within their means, they are living outside and above. Typically the first sign of poor money management is maxed out credit cards and the salary is spent the minute it comes in. Another is paying bills sporadically and not in their entirety. Going bankrupt is a sign of neglect and it could be bad for your reputation. Bankruptcy used to have a major stigma attached to it. However, with so many people headed in that direction, it has now become the norm. When you file bankruptcy, your credit report is no longer clean, and this makes it very difficult to get a loan. It can be very difficult to get new credit or even buy a house. This stigma can last upwards to 10 years. The best way to manage your finances is to save more spend less. If you find this to be a difficult task, the following tips can assist you with getting on track. Automated payments. You could enroll as many due accounts to automatically be debited from your checking or savings account on a monthly basis. When the bills are due to be paid, the amount set will automatically be taken out of your account. All you have to do is make sure you leave enough money in your account prior to this occurrence. If you have a little extra income, try paying more on your bills than what is due. Not only will this allow you to pay them off sooner, you will also have extra cash to save. Automated payments can help you get on track with your finances and manage them in a more responsible way. Less leisure and frivolous spending. Most of the time people spend money on things that are not essentials like eating out, going to the movies and buying things they don't need. Instead of eating out and spending money unnecessarily, cook a meal at home for much less. Instead of going to the movie theater, wait until the movie comes out on DVD or on your selected cable network. ( SAVE MONEY ON YOUR HOME ENTERTAINMENT) Besides, the cost to go to the movies has skyrocketed over the years. Another way to save money is to schedule as many errands as you can in one trip. This can help you save money on gas and give you time to do other things. Another way to save is to shop only when you need to shop and do it with a list. This way you won't be going into the store and on scavenger hunt buying things you don't really need. Save every penny, nickel, dime and quarter. Yes... change adds up! Try saving change that you keep in your car, around the house, and on the ground. Every day I find change laying somewhere. You might be surprised how quickly it adds up. As an example, for a whole month, I had the opportunity to save $50 dollars just with coins I would have tossed to the side unknowingly. To add to the fun, grocery stores and banks now have coin counter machines to help you count your change. Make saving money a game. You shouldn’t be the only one saving. Get inspired and teach your family and friends to save as well. Children should know not to ask for large amounts of money for trivial things and they should learn this at an early age. They should understand the value of a dollar and strive to save it for a specific purpose. These teachings can carry them far in life with money management and saving. Set a goal and a date as to how much money you want to save. Upon reaching that goal, treat yourself to something special. Without going overboard of course. Change your pattern of thought. The mindset of saving can be thought of as depressing. Like really? What's the use of saving when you can't take it with you? If the thought is to save on purpose with the intention of using the money to stay free from debt, perhaps it will be motivating from that perspective. Stores set up traps to entice you. Commercials play on TV to lure you in. Gain greater control of your thoughts and understand that every dollar spent comes with a cost. You don’t have to be thinking about money or things all the time, but you should be thinking about the future and saving for harder times ahead. Somehow or another, hard times seem to find you when you least expect it. 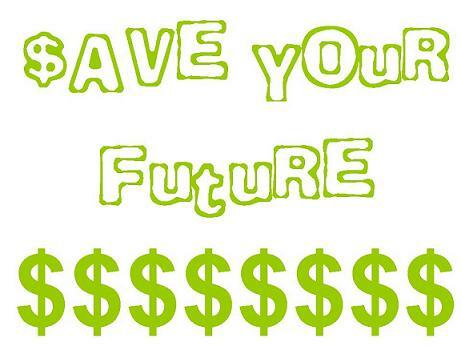 "It is imperative that I save for my future." "My future depends on me." "Money is a tool and I should use it as such." "I will not let money control me. Instead, I will control it." I hope you found this information valuable. If you did, please don't hesitate to share. Before I realized what I enjoyed, I was just a part of a system. My fear of stepping off the cliff into deeper territory always came with rejection, self-doubt and confusion.There is also a risk of uncertainty. Nevertheless, I decided that if I wanted to live in my purpose, that risk was worth taking. What am I here for and what will it take for me gain clarity? Those who have never risked anything have never done anything. In my journey, I have realized that the real risk is doing nothing. In taking that risk, I've learned the following things. 1. You have no problem working overtime. When you enjoy what you do, time is not an issue nor a worry. You take pride in what you do and you work until the task is completed. No exceptions! 2. You are constantly seeking ways to make it better. Unfortunately, when you are passionate about something, you may run into perfection. This perfection can hold you back from many things. I have found when I don't commit to perfection, not only do I get more done, but I accomplish more towards my goals. 3. You get up early and go to bed late. Again, time is of the essence for you to accomplish your goals. Therefore, neglecting of oneself may take place. It's important to keep your health in check because if your heatlh isn't right, your passion may never get accomplished. Sleep is essential to success. Yet, those who live in their passion find early mornings and late nights a normal way of life and their body and life adjust to it..
4. You don't mind being corrected or misunderstood. When you are passionate about something, it will take over your life. Therefore, it's important to find balance in what you do. If given advice, it must be looked at objectively and subjectively. Is it best for you or will it deter your plans towards your goal? People always misunderstand what they are not familiar with. You personally must be clear on what it is you are attempting to achieve and why. 5. You are willing to let everything that attempts to hold you back go. You are focused on your goals and accomplishments. Everything that is going on around you isn't important unless it involves you working in your passion. Hanging out use to be your lifestyle. Now you see a greater vision that can't be separated by nonsense. A lack of focus no longer exist. If it doesn't improve you mentally, doesn't uplift you spiritually or help you make more money, you literally find no need to be involved. The evolution of change and divine order always has a purpose in our life. Whether we pay attention to the instructions or not, somehow it will haunt us unconditionally until we take notice. When you are determined to achieve and your passion gives you energy, stay focused and press on. The struggle is underrated AND underpaid!! Being a parent that is. I mean a reaaaaal parent!! A mother to be exact. Anybody can have a baby. One who is ever present in the daily life of their child. It's not a game! It's a sacrifice mentally, spiritually, physically and financially. 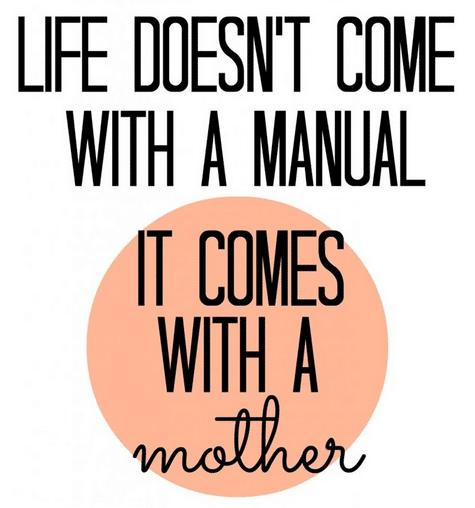 No it's not Mother's Day, because that day is every day! My wealth comes trifold when I see my kids being exceptional human beings, loving God, excelling and profiting in their gifts and being an asset to others. 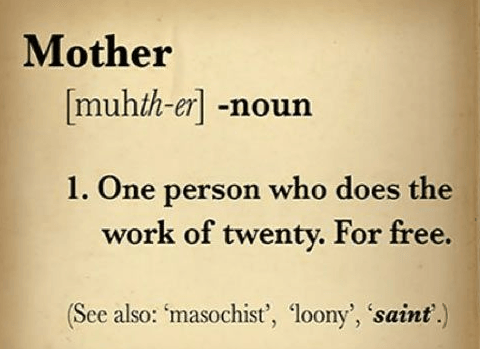 I thank the mothers who showed and show me the way. Too many to name who have impacted my life. My Aunts have always been a mother and I love all of them as such. More specific Rosie, Liz, Yvonne, Tanya and Freddie... thank you! 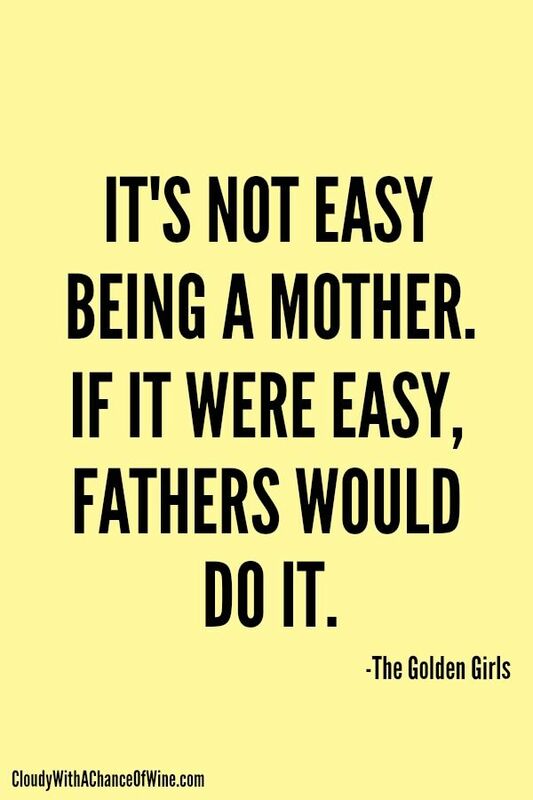 I recognize and give a toast to all the single, married, adopted, step-in and made into mothers who came before me and who make it happen every day. You are the hero to many. 5 Common Excuses YOU Tell Yourself.. Excuses keep you from achieving your dreams, setting goals and being who you were created to be. You can escape the cycle of excuses by acknowledging why you are making them. Check out some common excuses that most commonly make as to why they can't, haven't or will probably not achieve their expected level of success. What's Really Going on in America in 2016? When will all voices have a right to be heard? When will we apply our lifestyle to what was written in the constitution in which this country was built? 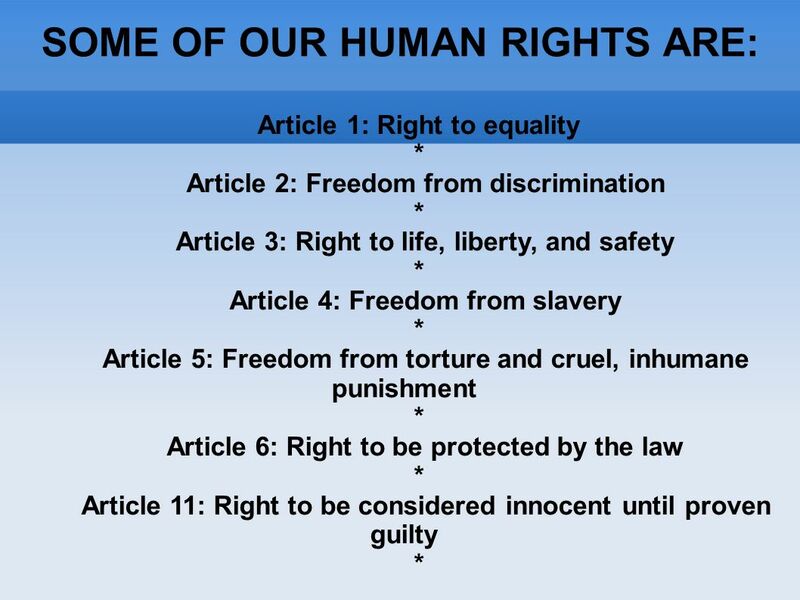 The right to be human should not be a choice that another human is privileged to decipher. The more things change, the more they appear to stay the same or possibly have gotten worse. At least in the eyes of some. Change equates to solutions. If no solutions are resolved, then the same old problems will occur. A Moment in History! This Was Released 20 Years Ago..... and 20 Years Later... Things are still the same! then has he a right to such a claim." This article is written to enlighten, inform and make one aware. There will be some that agree and others who won't. The bottom line is America has a problem and history along with research and documentation proves it to be true. The questions is, "what are we going to do to solve it"? Each and everyone of us has a responsibility to be accountable. Nevertheless, the dream will never work if everyone is not willing to be an active participant on the team. Communication is a start. But it must go beyond that. How to Improve the POWER of You! On a daily basis individuals are searching for secrets to health, wealth and happiness. In this search, they neglect key indicators that could be the stumbling blocks to success. Most don’t understand the simple aspect of recognizing who they are and what contributions they can make at improving their own personal life. It’s not a secret, but the catch many are missing is understanding self. Once this is understood, you would then have the knowledge to be both successful in personal and business relationships. 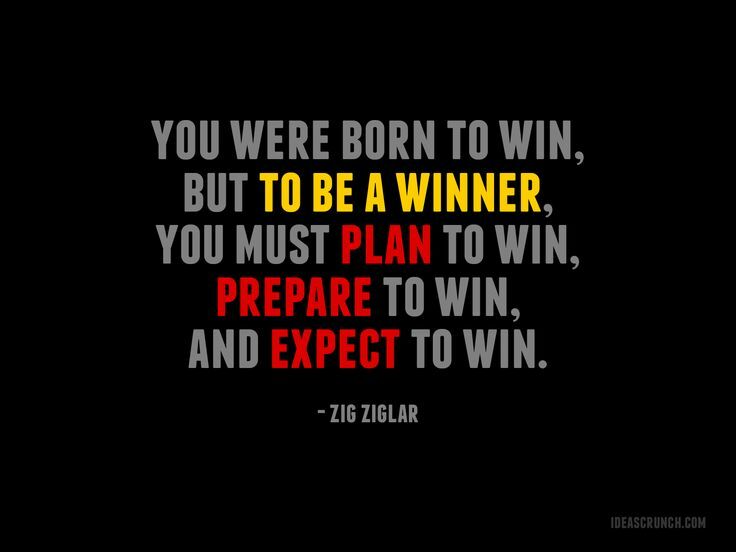 Like everything leading to success, this begins with a plan. Whether you’re anticipating improving your relationship with your spouse or family member, or move up the corporate ladder, this is all a result of personal growth. Individual growth starts with doing your best at every moment, in your career, home, or daily activities. Setting goals, no matter how small, enables you to soar to new heights and give you the confidence to accomplish more. Many times, individuals stay hung up on other people’s expectations on what it is to be successful without factoring in their wants and desires. Each of us has another idea of what makes us content. It's important to acknowledge that if you spend most of your time and effort trying to reach another person’s goals, then you will find yourself perpetually searching for your life meaning and you will continue to be distressed. Recognizing what is important is the first step to improving your personal life. Balance is a key factor to a successful life. Some individuals don't see the concept of success beyond their own needs. Frequently we're caught up in serving a dominant function, which overshadows our natural strengths. This results in stress and imbalance in your life. Learning to do things for yourself and your own needs are vital to improving your personal life. If you're always doing for others and seldom take time out for you, then you're building stress rather than improving your life. Your happiness should come first. It’s quite difficult to make others happy if you are unhappy yourself. Finding it hard to say no to others becomes more common and you will find yourself so engulfed by the needs of others, you forget you have needs too. This is a common human trait. You must learn to have an even balance in your life with everything you do and center on what you want. It’s not selfish, but necessary to live a stress free, purpose filled life. Putting yourself down consistently, finding it hard to accept compliments and wishing you were someone else are simple examples that you may be sabotaging your life into depression. Encouraging positive self-talk with yourself and to other people, not speaking negative about yourself and other people are vital to establishing personal self-pride. Understanding that no matter what, you're ok with you. Improving your self-confidence is extremely important when improving your personal life. This will require putting your positive beliefs in perspective and making it a priority. Day after day you must work on removing the negative thoughts and the limiting self-beliefs you have grown accustomed to hearing. Believing in you is medicine to your soul and the cure you need to succeed. Surround yourself with encouraging and motivating people. Discouraging people have an opposite agenda of what you need in your life and you must recognize who they are immediately. By taking small steps to do these things, you will begin improving your personal life without even realizing it. The key to success is to be constantly moving toward and forward in your goals. Learn steps to move ahead, stop looking back and refuse to be a victim of your past. Even though the past is important, you want to avoid lingering over past mistakes. Your mistakes should be learning tools and stepping stones towards your constant progress. Use them, learn from them and move ahead without hesitation. In essence, when you surround yourself with positive influences, it helps you to gain the power of processing and focusing in on your life. You deserve to have control. Don’t allow others to define your existence or claim your life’s purpose. Work hard on being a better, in control you in all you do. Some people will come and others will go. Nevertheless, understand who you are and don’t give anyone authority to define you in any of life’s capacity without your authorization. People can’t make you feel bad unless you give them permission. I am Nichelle Womack! As a people building, life transition strategist, I specialize in helping you reach your greatest potential through self-reliance and internal motivation. I provide inspiration through community speaking engagements, one on one consultation and group/team training. Positive thoughts and language are my fuel for energy and my desire to help you find yours. If you are interested in a free 15 minute session of coaching, contact me @ diversecc@gmail.com. Looking for more great life tips, check out “The Master Tip Manual for Personal Success” @http://amzn.to/1bWA7Vw . Many blessings and much success to you!! Check out my websites @ www.2ExcelWithNichelle.com and www.diversecc.com. Connect with me on Twitter, Instagram and Periscope @NichelleWomack. Check out the podcast @ http://bit.ly/peopleconnectpodcast. How many times have you said shoulda, woulda, coulda? How many times did you intend to do something but never did? How many times did you make an excuse as to why you haven't achieved the goals that you planned on achieving? The criminal is procrastination. It robs you from so many opportunities and often YOU become the victim of your own crime. In order to release yourself from procrastination, you must be prepared to escape. You must be willing to recognize the problem and address it accordingly. No longer should you allow procrastination the upper hand in your life. Listen to this episode of how to remedy yourself and recover with power, authority and the ability to persevere. Are you constantly bumping your head against obstacles and asking yourself why? Why not you? Maybe this is your opportunity to collectively reflect, reorganize and get on track in your life. This episode will break down the barriers to your roadblocks. Join me and my Periscope friends as we share light into the situation. A question on the panel in #PlentifulLiving101. There are 4 types of hunger where people are striving to be fed. 1. Money - people need more of it. Something is always due or overdue. You fake the funk and rob Peter to pay Paul then go about it as if nothing is wrong with your right. You live in a fantasy because reality is too scary for sight. 2. Time - not enough of it exist. Work 8 hours to come home and prepare for tomorrow. You're too tired to do anything else but complain you don't have time. Waiting for Friday to eventually realize that it's Monday already and you're back to the same routine. 3. Security - nothing is guaranteed but life and death. I hate to inform you, but that good job isn't either. Don't be fooled and retire with just a pen. You better hope your 401K is still in tact. You should be accountable to you and everything else should be secondary. It ain't like it used to be and if it was, don't you want to be FREE. 4. Spirituality - without it, people are misguided, mislead, misdirected and confused. They focus on external connections versus internal. When spirituality approaches them, they take credit for them being relieved for all of the problems above. Nothing can be done without a great relationship with the supplier. For HE provides a way to get through and be open to something new. “Lord, make me an instrument of thy peace. Where there is hatred, let me sow love, Where there is injury, pardon; Where there is doubt, faith; Where there is despair, hope; Where there is darkness, light; And where there is sadness, joy. O Divine Master, grant that I may not so much seek to be consoled as to console, to be understood as to understand, to be loved, as to love. Nevertheless, the combination of money, time, security and spirituality can cause one to think long and hard or just continue going about their daily routine of existing and not living. All are needed to survive and thrive. At some point, one must have a conversation with self. Be real!! If there is lack, increase won't take place until you take action and move in a different direction in one or all areas of your life. Is it time to get busy? I am Nichelle Womack! As a people building, life transition strategist, I specialize in helping you reach your greatest potential through self-reliance and internal motivation. I provide inspiration through community speaking engagements, one on one consultation and group/team training. Positive thoughts and language are my fuel for energy and my desire to help you find yours. If you are interested in a free 15 minute session of coaching, contact me @ diversecc@gmail.com. Looking for more great life tips, check out “The Master Tip Manual for Personal Success” @http://amzn.to/1bWA7Vw . Many blessings and much success to you!! Check out my websites @ www.2ExcelWithNichelle.com and www.diversecc.com. Connect with me on Twitter and Periscope @NichelleWomack. Don't forget to LOVE yourself..
Finding someone to share your life with can be a challenge. Often times we look in all the wrong places and eventually get stuck with leftovers or trash that is difficult to be disposed of. Love and relationships are two different things. You must ask yourself, which one do you want. In choosing, make certain that you have the time that is needed to invest in what it is you want. Before you can give of yourself, make certain you are confident in what it is you’re expecting and what it is you want to receive. Have some type of idea of the relationship you are looking for because this is the first step of valuing your time and that of others. Are you seeking a casual companion, a weekend lover or someone to spend the rest of your life with? Develop an idea of what you would call a great mate. While some might say that this limits your choices way too much, it's possible to both know what you're looking for and be open to something else. The most tangible aspect is that you don’t have to settle. The secret sauce in finding a companion is in putting together a list of characteristics of your ideal mate and how you think about that list once you develop it. If you see every characteristic on it as absolutely necessary, you might miss out on meeting a wonderful person. After all, no one is perfect, but someone is perfect for you. If, on the other hand, you see your list as a set of guidelines, having it can help you choose the relationships you do and do not want to pursue. This is critical because far too many people are in a hurry to find a mate without vetting them out. This behavior could lead to all sorts of unhappiness, regret and a possible disaster. Being specific with intention can be beneficial in the long run. Love make the world go round.. When seeking a relationship, it’s important to identify what you deem as necessary and unnecessary characteristics in a mate. Begin gathering your list by thinking back over past relationships, whether they were romantic in nature or not. Were any fulfilling? Are there any characteristics that other people have that make life incredibly difficult for you? I mean… things that would make you miserable to be around. Or better yet, things that you simply cannot tolerate. In contrast, are there any characteristics that you find absolutely necessary in someone you're going to be close to? Things that make your heart flutter, your mind think and your life better. Now think about some attributes and aspects you would appreciate or admire in a potential new mate. These should be things that make you feel good and enjoy being around this person. Use these components to help get you started, both in making a list of things you want in a mate and in making another one of things that you don't want and refuse to deal with. Anything that comes up in these thought exercises is probably pretty important to you and might even make or break a future relationship. So think long and careful about this process. Love is bigger than one second, one hour and one day..
Just as you list the necessary and unnecessary components, you must acknowledge the desirable and undesirable characteristics too. After you have your lists of necessary and unnecessary characteristics, think about other aspects of people you've known that you have enjoyed or that have been hard for you to deal with. These may not be quite as important as the things you just listed, but they are aspects of another person that would be nice to have or to simply avoid. You may want to make these into a separate category on your list. That way, you can separate them in your mind from things that are absolutely necessary or to be avoided. Again, thinking long and hard while being aware and conscientious are key to successfully choosing the right mate. You deserve to be picky. But how picky do you deserve to be. For me, being picky is a big deal. Just as I am careful in planning out other events in my life, I will be just as careful in trying to choose someone who is worthy of my time. After all, choice is a personal decision and it can also be a life-long one as well. Now that you have your list in front of you, it's up to you to decide how closely you want to stick with it. Again, it’s your choice! Are the characteristics on the list important enough to you that any perfect mate would have to have all of them? On the other hand, are some of them absolutely essential and others you can live with or without? Know that you are free to make whatever choice you want to in this area. This is your life and you should have a say so. This is your relationship you're considering, so the choices need to be suited to your own preferences and perspectives. In case you are not prepared, remember that choosing to be picky might mean that it is harder to find a mate. No matter how many of these characteristics he or she has, there will still be areas of your relationship that could be difficult in other areas. Relationships should grow. In that process, both of you will change. It is with great hopes that your intentions are to grow together and help each other along the way. So, once you've made this decision, don't let anyone persuade you otherwise to sway a different way. As I mentioned, this is your life and you will be the one that has to deal with the consequences of poor choice. No matter how good looking a perfect mate may be, what they drive, their occupation and what they tell you, if they don't have the characteristics you've deemed essential, the relationship probably isn't going to last long. In addition, don't allow friends or family to persuade your decision making towards your ideal mate. Who you date and how you choose them is your choice, not anyone else's. We all have different taste and our personal taste won't be the same as anyone else's. Therefore, relying on their advice and judgement simply will not work. You need to trust your own instincts, needs, desires and preferences when deciding on a mate to add to your life. Love is a two-way street. Both parties are supposed to be giving of each other. Even though no relationship is perfect, there is one that is perfect for you. Be fair with yourself and the other person. Know that a relationship or a love that lasts is built on a solid foundation. When a piece of it cracks, both must be willing, ready and able to glue it back together. Love is a beautiful thing. Don’t settle just because you are lonely. Pray about what you are seeking and let the love you are requesting find you.